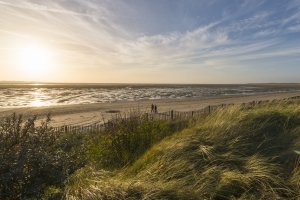 Stretching across 7,200 hectares of dunes, marshes and salt meadows, the Bay of Somme is the largest estuary in Northern France. Its seven beaches range from the wide, sandy Fort-Mahon-Page where you can go horse-riding or hiking in the sand dunes to the pebbly Cayeux-sur-Mer with 400 brightly-painted beach huts and a harbour which is home to a colony of seals. The pretty harbour of Le Crotoy was once an important fishing port and today still has a fleet of trawlers and many seafood restaurants. Its beach is long and wide with white sand, and children and adults alike will love the vintage steam train which starts its journey here and goes all around the bay. Aside from the beaches, hire bikes and explore the many cycle paths and historic villages. If you’d rather be out on the water, boat and kayak tours of the bay are also available. For nature lovers, this is the perfect place to take a seal-watching excursion or spend some time bird watching. 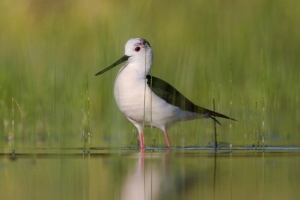 Discover the parc du Marquenterre unique bird reserve here. The UNESCO-listed Marais Audomarois includes Saint-Omer – a city rich in art and history – and France’s only remaining cultivated wetland, with about 40 market gardeners. It’s a calm place to escape daily life and see sustainable consumption in action. Hire electric bikes or head to the the Maison du Marais Saint-Omer to ride a bacôve – a flat-bottomed boat used to transport vegetables, handmade locally. In Amiens, between Paris and Lille, exploring Les Hortillonnages - a series of gorgeous islands separated by canals, makes for a very different French experience. Drift along the waterways in a traditional barque a cornet (a flat boat with raised ends) or stroll hand-in-hand among the islands now used them for gardening, fishing, or simply as a place to relax by over 1,000 different owners.